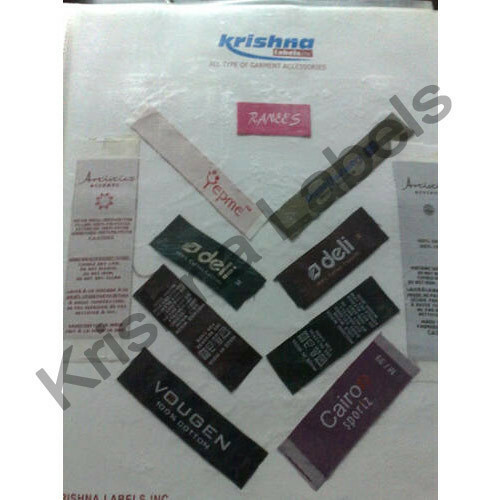 In the year 2010 we Krishna Labels INC were established and engaged in manufacturing and supplying superior quality products to our clients. We have been famed quality in maintaining our line of products which includes Clothing Labels & Tags, Printed & Woven Labels and Barcode Stickers. We offer these products based on clients specifications. We have a team of quality analyst to check the quality of our products. Our team of experts holds rich expertise in this domain and assists us in understanding the market norms as well as the requirements of our clients. These products are made using superior quality materials. Our ranges of products are appreciated for its color fastness, resistance against water and weather, brightness and clarity. Our team keep ourselves abreast with industry standards to meet the changing requirements of our clients in the best possible manner. Mr. Raja Mallick is our mentors and we with their guidance build our self in order to bring up the company in a level of high grade strategies. They are well experience and guide us how to full fill the client?s needs without any obstacles.